The Cuban Heritage Collection (CHC) Undergraduate Scholars Program ran from 2010-2015, and offered University of Miami undergraduate students the opportunity to carry out independent, original research projects using the archival and print materials housed in the Cuban Heritage Collection. The CHC is one of the world’s largest repositories of research materials about Cuba and the Cuban diaspora that includes rare books, manuscripts, photographs, maps, architectural drawings, audio-visual materials, newspapers, and other materials from colonial times to the present. Open to all University of Miami undergraduate students, the program required 10 hours a week of dedicated research time in CHC for 12 weeks during the Spring semester. All research projects were supervised by a faculty mentor. Scholars received a stipend of $2,000 for the semester. As part of their research activities, students participated in one or more oral presentations about their projects, including the annual Research, Creativity, and Innovation Forum typically hosted in April by the Office of Undergraduate Research and Community Outreach. At the completion of their research activities, CHC Undergraduate Scholars submitted a ten to twelve page report to their faculty mentor and to CHC. The CHC Undergraduate Scholars Program has been folded into the Library Research Scholars Program; to learn more about the new program, including eligibility requirements, please visit the program webpage. The CHC Undergraduate Scholars program launched in 2010 with a grant from The Goizueta Foundation. 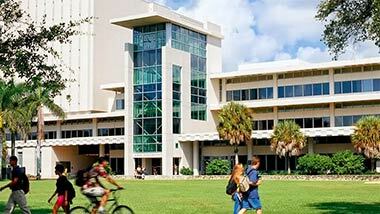 Funding for Spring 2014 CHC Scholars provided by the University of Miami Libraries.